Recipe instructions: In a blender or food processor whip the eggs until light, add in the sour cream and Parmesan cheese and continue to blend on high until well mixed. Add in the Almond flour and salt and blend well. You will add the baking soda when you are ready to pour out the batter. The baking soda will react immediately making this dough rise. 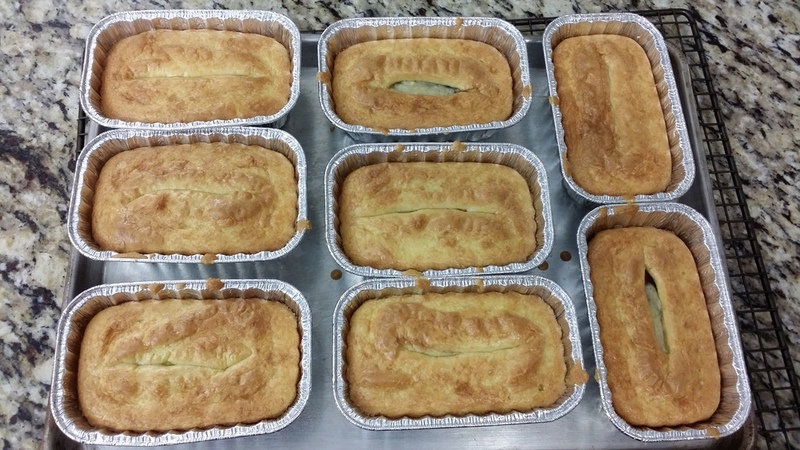 I used the mini loaf pans, well greased on the bottom and sides. 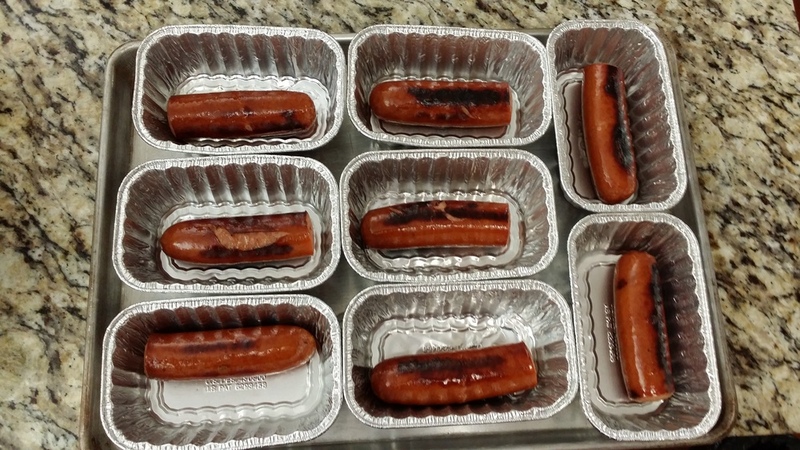 The sausage was cut to length, heated in the microwave and then fried in a skillet. You want the sausage hot when you pour in the batter. Be sure to center them in the middle. 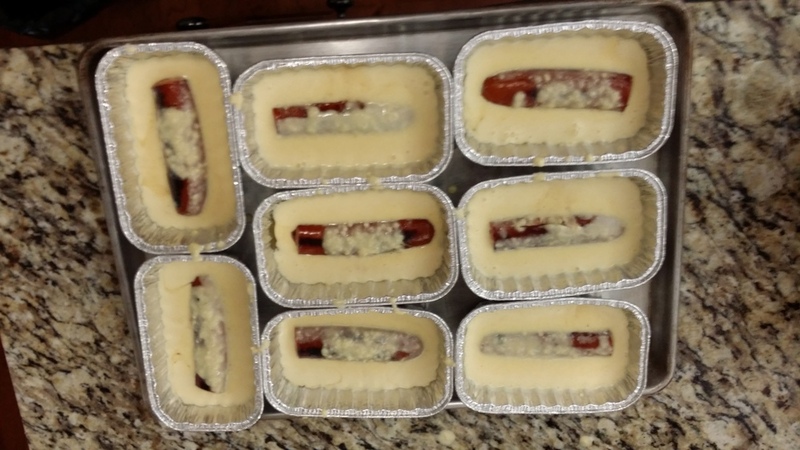 The batter will make 8 sausage dogs. Bake 400 for 15 minutes then reduce the heat to 350 for an additional 15 minutes. General Comments : The nutrients are for the batter only, everyone will have their favorite sausage with varying nutritional levels. I used Johnsonville Sausage with no fillers so it was less than 1 gram of carbs per serving.